What Causes Sinks to Smell Like Sewer When You Are on a Septic System? If your home sits on a crawl space, you might not immediately realize if a leak develops under the house. Unfortunately, water beneath your home increases the risk that mold and mildew will develop. The added moisture can also cause soil to swell , which can lead to shifting foundation walls. You may be able to repair some types of leaks, but others require the attention of a professional plumber. Replace old cast iron pipes that leak. Unless you’re using the space beneath your home for storage, you may not realize there is a problem unless you hear dripping or you notice that your water bill is higher than normal. If the leak is aggressive, you may eventually notice moisture on the exterior foundation walls in spots. A water leak under the house involves either the pipes that supply water to your home or the drainpipes that carry wastewater to the sewer. To pinpoint the leak, turn off all water sources inside the house, including faucets, ice makers, water softeners and reverse osmosis units. When everything’s off, go outside and check the water meter. If the dial on the meter moves, the leak is in the water supply lines that run between the meter and the faucets. If the meter does not move, the leak is in the drainage system. In some cases, repairing a water leak is a simple as replacing a worn seal or tightening plumbing fittings that have come loose. A loose drain beneath a shower or tub can dump a significant amount of water into the crawl space over time. If you find a loose fitting, try tightening it by hand first. If it still leaks, you can tighten it a little with a wrench, but over-tightening plumbing fittings can crack some types of pipes and make the problem worse. Old cast iron drains that spring leaks should probably be replaced, which involves running new PVC drainpipes and installing fittings that convert the old pipes to the new pipes. Copper pipe joints require “sweating,” which means soldering to seal the joint. In a worst-case scenario, the large water supply pipes or the drainpipes may be leaking beneath the ground, which requires excavation and new pipe installation. 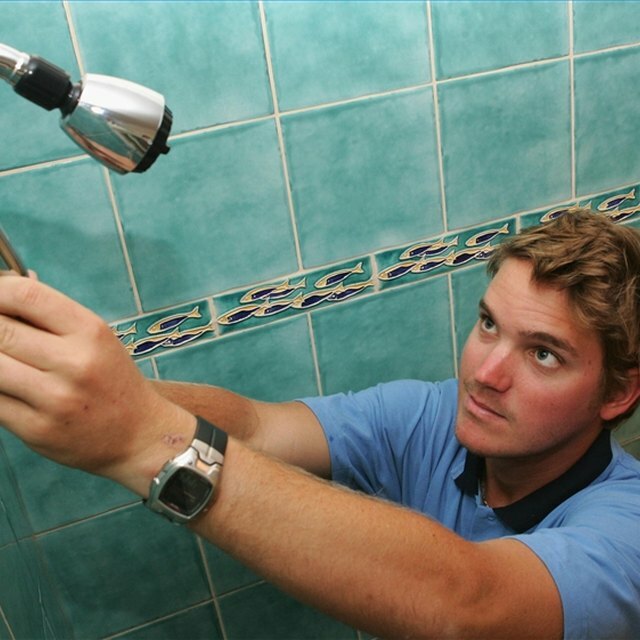 Major repairs are best left to plumbing professionals.